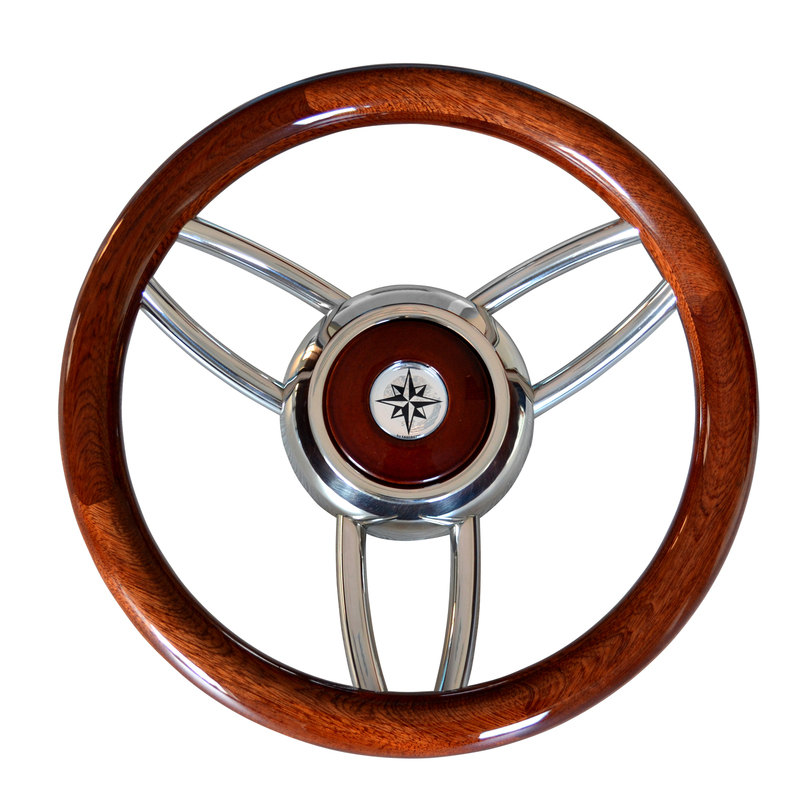 Steering wheel type 26LMO with Mahogany handgrip ring. Gloss varnish poliurethane. 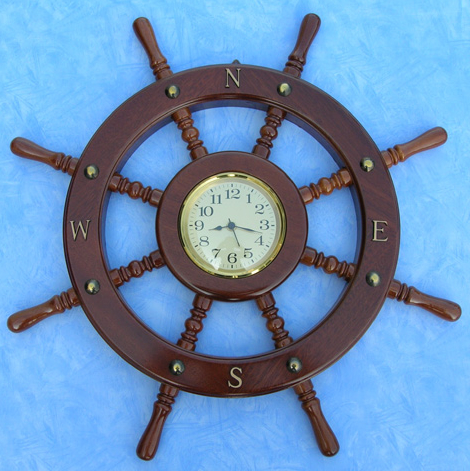 Hub and spokes in stainless steel. Stainless steel cover with Savoretti logo. Standard connection 17/19 taper. Certification CE by Rina of Genova.